Tours all the way to the Full Day Marine Snorkelling Safari as well as seasonal Whale Watching tours. We have two glass bottom boats at our disposal: the 30-seater “Reefviewer” and the 31-seater “Ningaloo Coral Explorer II”. This eco-tour discovers the fire coral gardens, green sea turtle habitats, plenty of bommies, and a kaleidoscope of colourful fish. Easy going tour with full commentary from a passionate reef-nut for those who do not want to get wet. Fantastic value… a 4-hour tour with a full 2 hours on the water. Encompassing a snorkelling stop on the Ningaloo Reef, this tour takes in all that is seen on the Coral Viewing Fantasy tour, plus allows us time to cruise to deeper waters to investigate 1000+ year old corals and larger fish habitat. Customers on the bus will also have an opportunity to see the Mildura Shipwreck, and take on the breathtaking “birds-eye” views of the Ningaloo Reef from the historical Lighthouse Lookout. Designed with the avid snorkeler in mind, this tour maximizes your time in the water whilst exploring the World Heritage-listed Ningaloo Reef at 2 fantastic snorkeling sites. Enjoy a sleep in and still spend 3 hours on the water on this afternoon glass bottom boat escapade and enjoy light refreshments served on-board! With over 20 years’ experience guiding on Ningaloo we know every nook and cranny of the numerous sites we visit, and will be sure to teach you all about our “backyard”. Home-cooked foods served on-board – Yes, cooked in our home commercial kitchen, made with love by the owners. A range of delicious foods served for afternoon tea including mouth watering Anzac slice and of course, Exmouth’s famous “Mrs. Mac’s Orange Cake”. Love Ocean Life? We do! Come along and feel the love on a full day adventure on the sea. An ultimate marine experience aboard our Ningaloo Coral Explorer glass bottom boat. Exploring the fantastic depths and the colourful shallows of the World Heritage-listed Ningaloo coast, the marine snorkelling safari offers more. Imagine a full day of discovery with multiple snorkelling stops (minimum of 3!) – each in a different and a very unique location. Engaging – At any time and all the time Ningaloo Coral Explorer’s large glass panels offer a rare opportunity to observe the marine life most other vessels simply cruise over. Exclusive – Ningaloo Coral Explorer is not only the largest glass bottom boat in Exmouth, but its unique design and incredibly shallow draft allows it to go where most other vessels simply cannot – giving you an opportunity to experience sights few have seen before. Enticing – The Full-day Marine Snorkelling Safari features delicious home-cooked morning and afternoon tea, lunch, courtesy transfers and delivers a truly unforgettable experience discovering the magic of Ningaloo. Probably one of the best value-for-money tours in Exmouth! Ningaloo Reef is fortunate to host the majestic humpback whales along their west coast migration route. Every year from June until October these magnificent creatures are seen frolicking in the waters around Exmouth. And we are lucky to follow along with them! Join us for Sunset Humpback whale watching in the Exmouth Gulf and the unique top end of the NW cape peninsula (including the historical Navy Pier!) exploring the recovering habitats of Bundegi Reef or the Northwest Reef. Setting us apart from the competition is an opportunity to not only see the Humpback Whales, but also to have a unique perspective into the world they live in through our vessel’s large glass panels. Use of a HYDROPHONE allows a rare experience – hearing the whale songs through our speaker system (if any are singing during your tour). With a 2.5-hour afternoon/sunset tour available daily from mid-August to mid-October, your experience is enriched by an interactive commentary from a captain with many years of experience. Free courtesy bus pickup from Exmouth, and light refreshments on-board will ensure that your Whale Watching tour will be an enjoyable experience. A full 2.5 hours are spent on the “Ningaloo Coral Explorer” Glass Bottom Boat to ensure plenty of time for Humpback whale watching, with full commentary provided by our experienced skipper. Available all year round the departures for coach charters are an ideal fit for visitors who wish to experience the wonders of the Ningaloo Reef without getting wet. These flexible tours can adjust to even the most demanding travel itineraries. Our two large capacity glass bottom boat vessels can tailor for groups up to 60 passengers with multiple departures available for larger coaches. All departures are accompanied by full commentaries from an experienced guide. 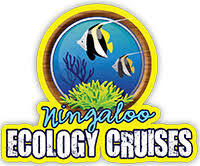 The wonders of the Ningaloo Reef are presented in an entertaining and informative way for kindy and school-age children with delivery tailored according to the age of the young explorers. The goal of these fun and engaging tours is to plant a “conservation seed” in the minds of our children for the benefit of the present and future generations. Celebrate your special day among the treasures of the Ningaloo Reef. Choose how long you wish to tour for, choose a destination – or simply allow our experienced crew to take you to an area most suited for the type of special event that came into your life. If required, we would be delighted to arrange catering as well. Our two large capacity glass bottom boat vessels can tailor for groups up to 60 passengers. As public or discrete as you wish, the private tours on Ningaloo Reef are most ideally suited for larger families (where the cost can be spread out amongst family members), or individuals who wish to remain out of the public eye (for whom the cost is of little importance). Adventures on private tours are completely tailor-made and as unique as the passengers onboard. (Please note that special pricing, availability, and cancellation policy applies to all exclusive tours – please contact us for details).